Bring justice to Earth and all of its inhabitants as the fearless heroine Wonder Woman. 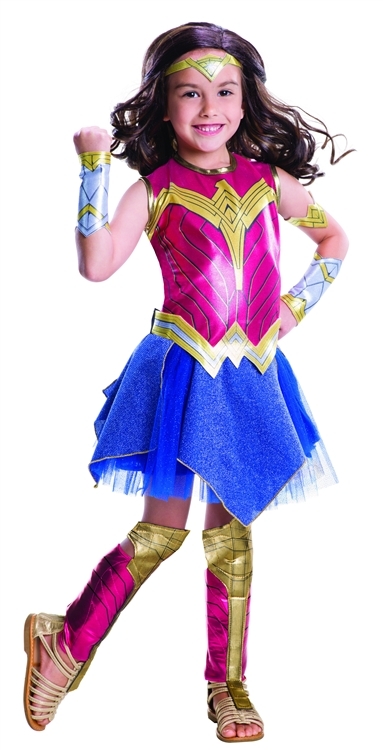 The Deluxe Child Wonder Woman Costume includes dress, belt, tiara, gauntlets, armband, and shin guards. Officially licensed DC Comics product. Available in three kids' sizes: Small, Medium, and Large.